Maritime Vinyl: Crash course on David Bowie’s Low! 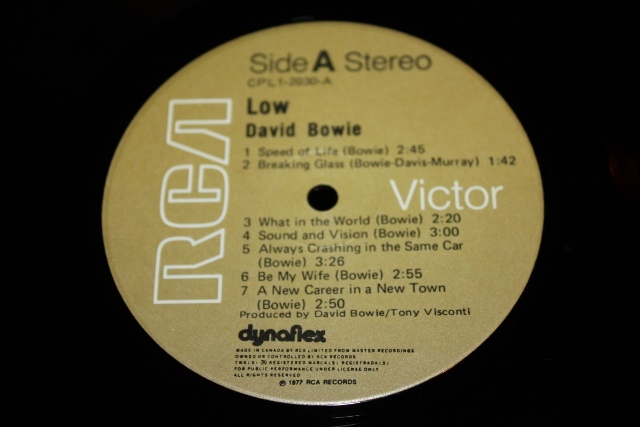 While it may not star Ziggy Stardust or contain any hit tracks later covered by Nirvana, Low is considered by many as one of David Bowie’s best works and rightfully so. This is Bowie’s eleventh studio album and was released in 1977. David was not a happy fellow during the making of this album having just moved to Berlin to escape his cocaine habit he gained in Los Angeles. While David was overcoming his addiction he was going through the emotional rollercoaster that all former addicts are so familiar with. He worked on songs that he was planning to use as the soundtrack to the movie “The Man Who Fell To Earth” in which he had the starring role. The director did not think the proposed songs would fit the movie well and instead went with folk singer John Phillips (formerly of The Mamas and the Papas). Bits and pieces of these movie compositions ended up throughout Low. This album was so closely related to the movie that they even share the same cover. 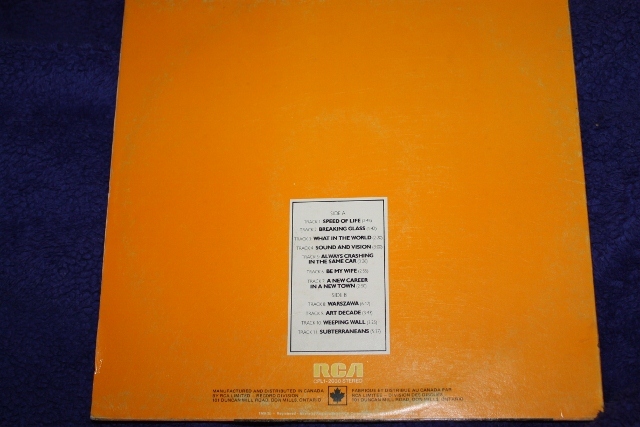 The entire second side of this LP contains instrumentals written by David Bowie and Roxy Music’s Brian Eno. 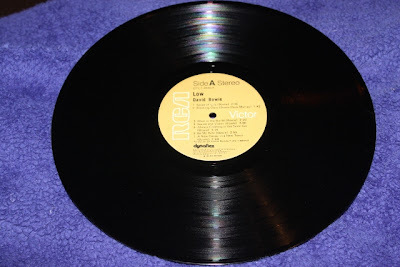 This is not the only David Bowie album that Brian Eno contributed to; actually it is the first of three in a row dubbed the Berlin trilogy, the others two being Heroes and Lodger. This duo attack this music using synthesizers and keyboards helping to label it under electronic music but fortunately it is not as dated as other electronic music that was released in this era. Low is often credited to being produced by Brian Eno, but this is not true. 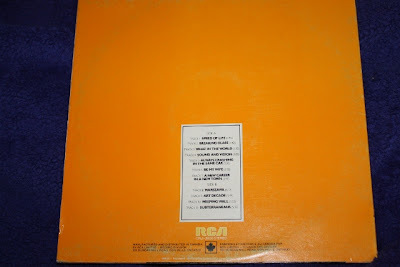 It was produced by Bowie and Tony Visconti who together coproduced many albums throughout Bowie’s career (including the other two Berlin trilogy albums: Heroes and Lodger). This album took a little more work for me to get interested in compared to other Bowie albums but really grew on me over time. It’s one of those albums that I catch something new in every listen. 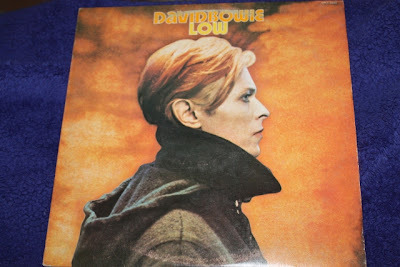 Over time I now see myself reaching for Low more often than any other Bowie LP.